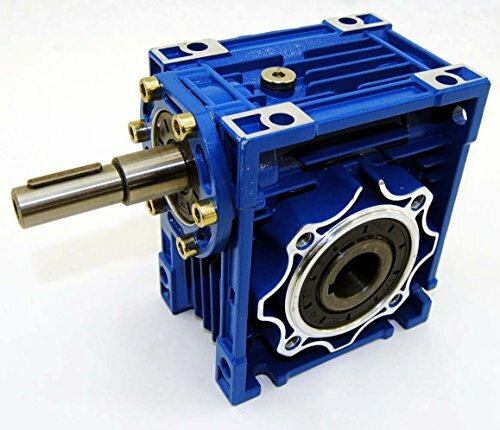 RV063 series worm gear coupled speed reducer. This 20:1 ratio speed reducer is rated for 2.05 HP input at 1750 RPM on a 3/4" diameter x 2" long keyed shaft. Output is 1194 lb/in on a hollow 1-1/8" diameter x 4-7/16" long keyed shaft.